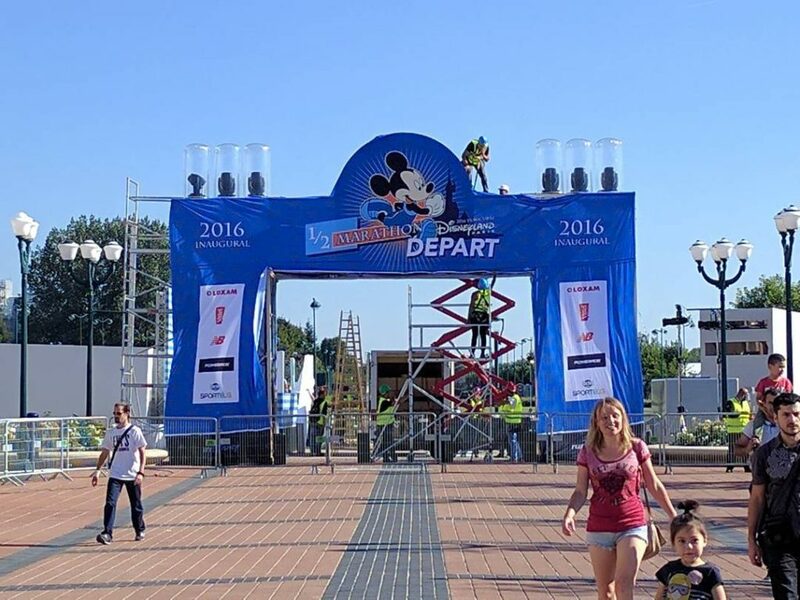 runDisney at Disneyland Paris started in September 2016 with the inaugural 5k, kids races and half marathon. Unlike the US runDisney events, there is no real theme to the runs. Runners are of course encouraged to dress up like their favorite Disney characters. In 2017, runDisney returns to Marne-la-Vallée on Thursday September 21 through to Sunday September 24. Also returning from 2016, the runDisney Kids Races are a great opportunity for kids to participate in this running weekend. The runDisney Kids Races take place on Saturday September 23, 2017. Runners will start at 11am. The route isn’t known yet, but last year it took place in parts of Disney Village and along Lake Disney. 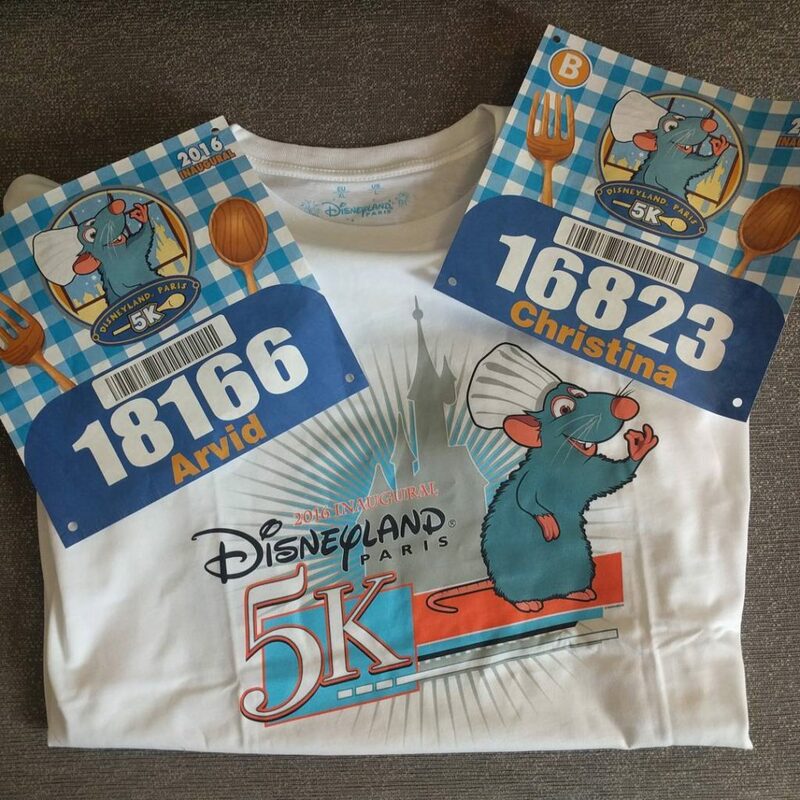 Runners will be presented with a Kids Races T-shirt, a runDisney Kids Races Event Finisher Medallion, personalized bib and post-race refreshments. Parents can run along with their kids between the age of 1 to 5 years. The price for runDisney Kids Races is 12 euros. Bibs are no longer available. Runners need to be between 1 to 12 years old (on the day of the race). Returning from 2016, the 5K Family Run is still there and is a perfect distance for runners who just want to enjoy a short run, families who want to run together or beginners. Where last year the 5K Family run took runners through Disneyland Park and Walt Disney Studios, this year runners will only be running through Walt Disney Studios. 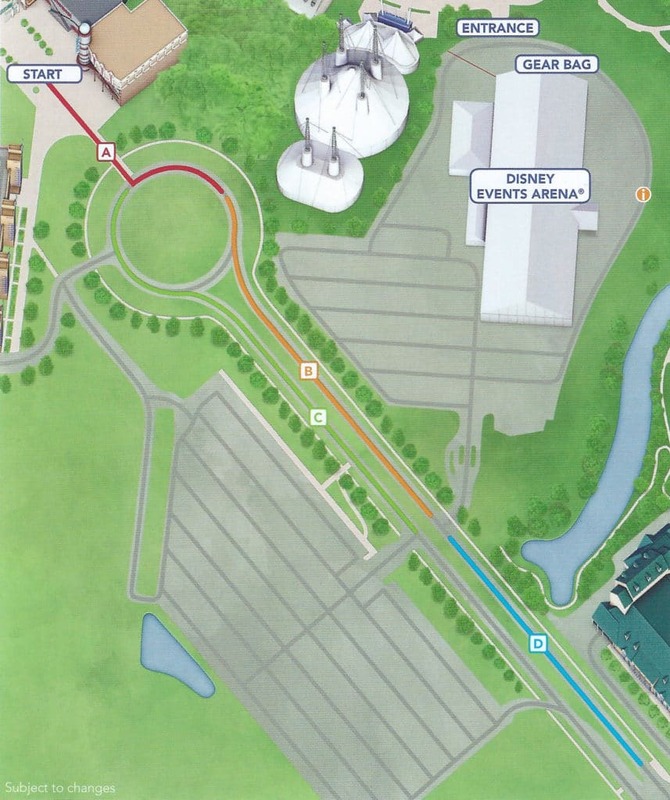 Runners will have the option of meeting Disney Characters and experience on-course entertainment. The 5K Family Run takes place on Friday September 22, 2017. Runners will start at 8pm. The exact route isn’t known yet, but part of the route will be down Hollywood Boulevard and around Twilight Zone Tower of Terror. Runners will be presented with a Unisex T-Shirt, a commemorative Finisher Medal, a personalized bib and On-course/Post-Race refreshments. 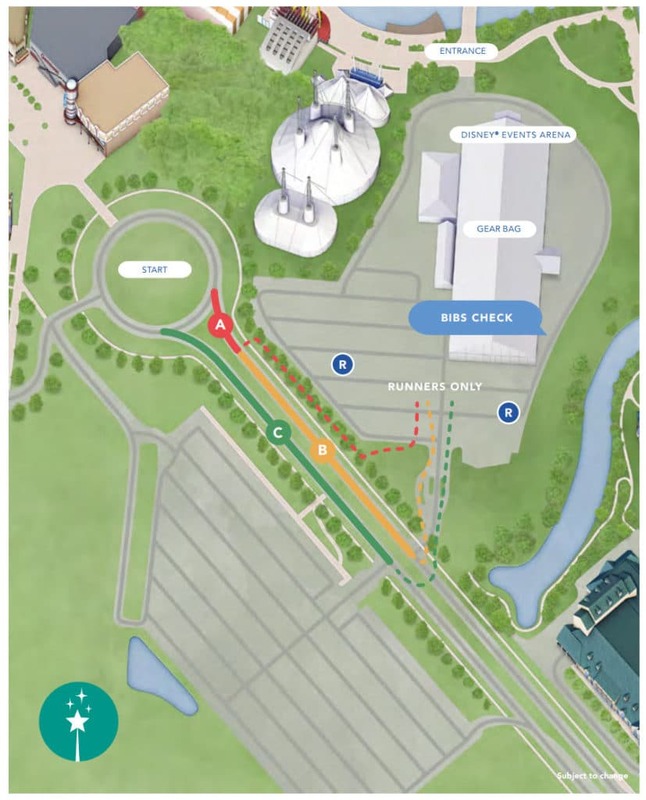 Disney Events Arena opens at 6pm for dropping off gEAR Bags. Closure of corrals A & B: 7.30pm Closure of corral C: 8pm Race starts at 8pm. New in 2017 is the Disneyland Paris 10K. This new race will take you through both parks and is a perfect distance for runners of all levels. The race does start early morning, take that into account when you sign-up and book your hotel. 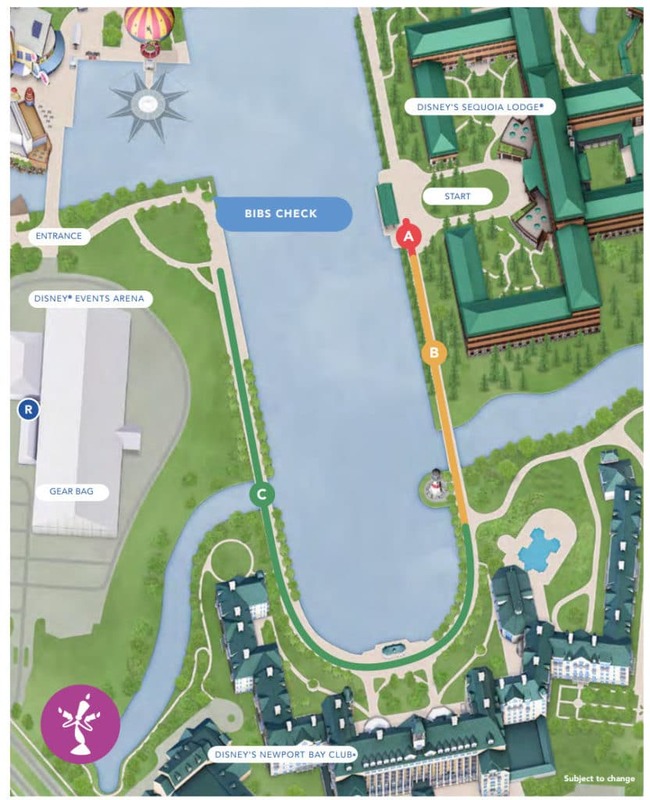 Runners will have the option of meeting Disney Characters and experience on-course entertainment. The Disneyland Paris 10K takes place on Saturday September 23, 2017. Runners will start at 7am. The full route isn’t known yet but if it will be anything like last year’s 5K, you will have amazing sights on the sunrise over Sleeping Beauty Castle. Runners will be presented with a Unisex T-Shirt, a commemorative Finisher Medal, a personalized bib and On-course/Post-Race refreshments. New this year is the Bibbidi-Bobbidi-Boo challenge. 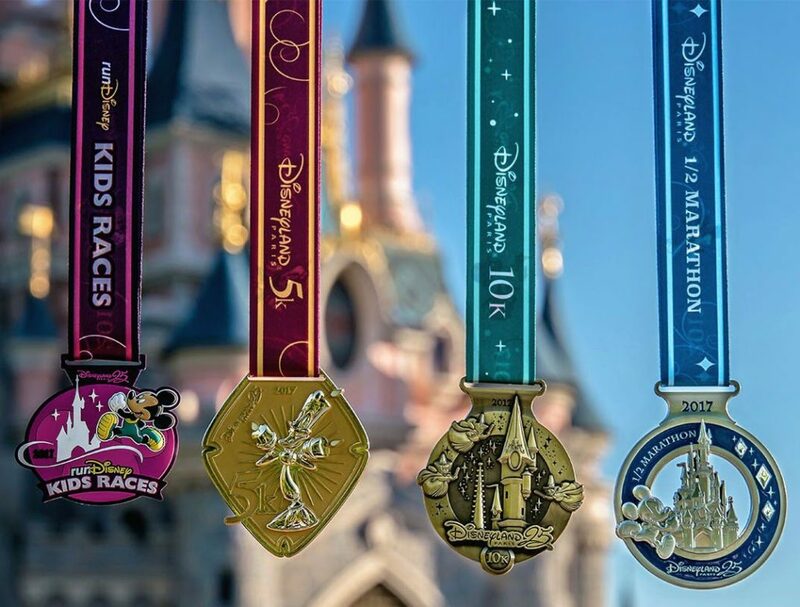 Combining the Disneyland Paris 10K and the Disneyland Paris – Val d’Europe Half Marathon. More information can be found later on in this article. The price for the Disneyland Paris 10K run is 55 euros. Bibs are still available and can be booked through the Disneyland Paris website. Runners need to be at least 14 years old (on the day of the race). Back from 2016, the Disneyland Paris – Val d’Europe Half Marathon.The Disneyland Paris – Val d’Europe Half Marathon takes place on Sunday September 24, 2017. Runners will start at 7am. This 13.1 mile/ 21 km course will have you run through Walt Disney Studios Park, down Hollywood Boulevard, past Twilight Zone Tower of Terror, to Disneyland Park through Main Street USA and past Sleep Beauty Castle. After that the course will take your through the countryside and villages surrounding the Disney Parks. The finish takes place at Disney Village. Runners will be presented with a Unisex T-Shirt, a commemorative Finisher Medal, a personalized bib and On-course/Post-Race refreshments. New this year is the Bibbidi-Bobbidi-Boo challenge. 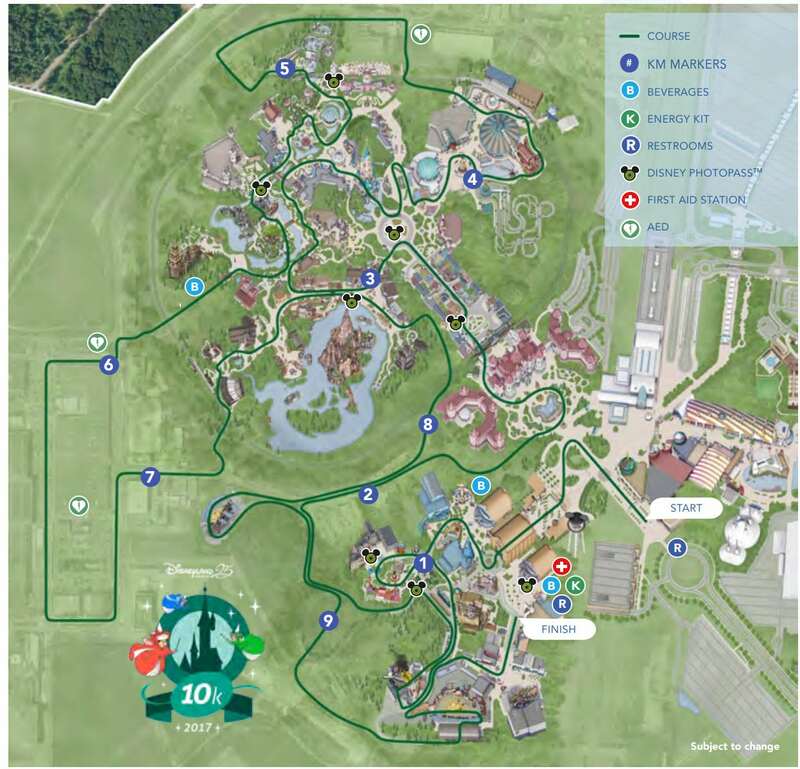 Combining the Disneyland Paris – Val d’Europe Half Marathon and the Disneyland Paris 10K. More information can be found later on in this article. The price for the Disneyland Paris – Val d’Europe Half Marathon is 75 euros. Bibs are still available and can be booked through the Disneyland Paris website. Runners need to be at least 18 years old (on the day of the race). In order to participate in the Half Marathon, a medical certificate has to be submitted. The death-line for submitting this certificate is August 15th 2017. This certificate has to be signed by a doctor and in French. Each race has its own medal. As Disneyland Paris is celebrating its 25th anniversary, this is also displayed on the medals. Click here for a more in-depth review of each medal. A challenge is when you complete two or more different runDisney runs. This can either be in the same weekend, or even within the same calendar year. For the 2017 Disneyland Paris – Val d’Europe Half Marathon weekend, there are two challenges. 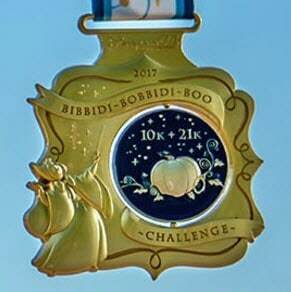 New this year is the Challenge Half Marathon + 10K aka Bibbidi-Bobbidi-Boo challenge. If you are unable to complete a runDisney event in the US, this challenge is perfect for you. The challenge consists of the Disneyland Paris 10K on Saturday September 23 2017, and the Disneyland Paris – Val d’Europe Half Marathon on Sunday September 24, 2017. Participants of this challenge will receive additionally to the Disneyland Paris 10K and Disneyland Paris – Val d’Europe Half Marathon swag, a Bibbidi-Bobbidi-Boo Challenge shirt and a Commemorative Bibbidi-Bobbidi-Boo Challenge Medal. In order to participate in this challenge, it has to be booked online through the Disneyland Paris website. Bibs are still available, and the challenge will cost 130 euros. 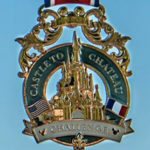 The Castle to Château Challenge returns in 2017 and is a great challenge for runners who participated or will participate in a runDisney half marathon in the US. 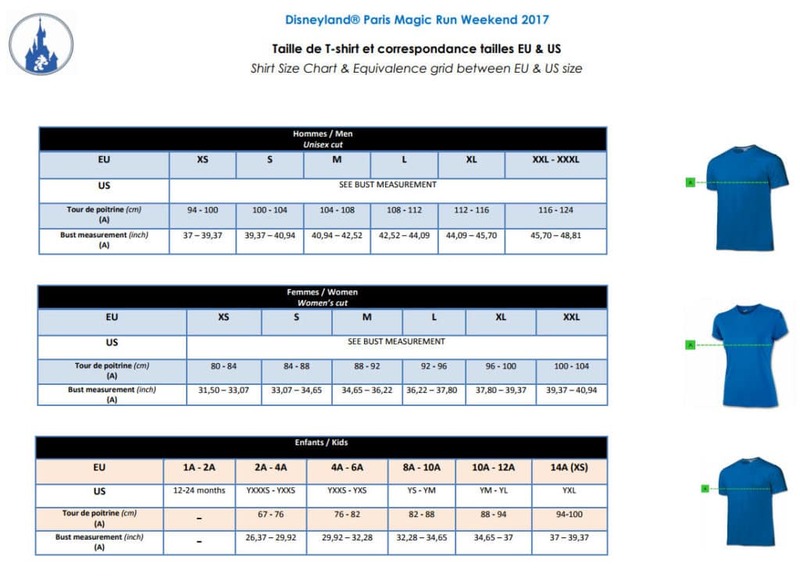 A runner has to complete a half marathon at one of the US runDisney courses during 2017 and the half marathon during the Disneyland Paris half marathon weekend in 2017. 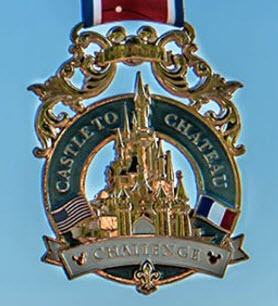 In order to be eligible for a “Castle to Chateau Challenge” Finisher Medal, runners must also register for the “Castle to Chateau Challenge”. You can register when you finalize your registration for the half marathon. Each challenge has its unique medal. You can see the two medals below. Only when the runners has completed the registration and the required courses will the medal be handed out. The official guide offers you information on where you can pick-up your bib, times and other useful things that can help you make the most of this weekend. An Opening Party will take place on Friday September 22, 2017. The party starts at 9pm and will last until midnight. 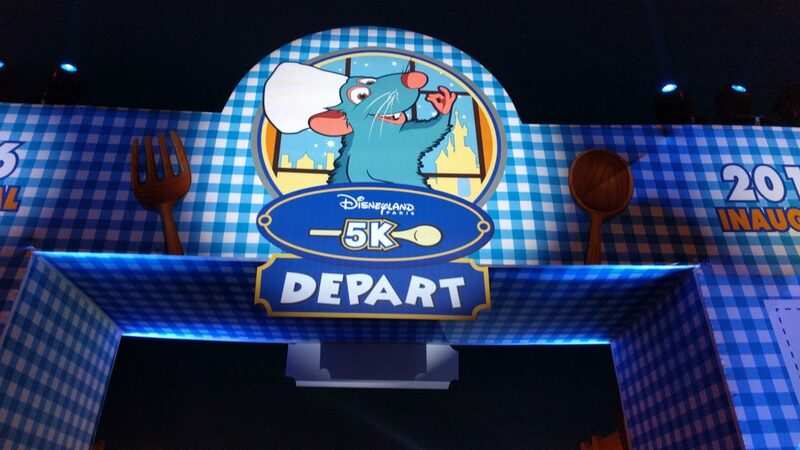 This does mean that the party is directly after the 5K Family Run and the night before the Disneyland Paris 10K. Runners might have to consider this before signing up. During the opening party, guests will be able to meet Disney characters, access several Walt Disney Studios Attractions and enjoy Music and Entertainment. Last year saw four character meet ‘n greets with Spider-man, Captain America, Sully, and Mickey & Friends. These can all be found on the map that will be given to you when you enter the park. When we attended the party last year, we weren’t that blown away by the entire event. The number of characters was limited and we saw most of them inside Disney Studio 1. Even though it was advertised that there would be several ‘healthy’ food options, most of them were sold out, even just an hour in. It was nice to be able to ride some of the attractions without a huge wait. This year we will skip the party as it is too close to both of our races. A ticket to the opening party costs 49 euros and can be booked via the Disneyland Paris website. During the Opening Party, you can also enjoy a dinner at Bistrot Chez Rémy. Service starts at 9.10pm. Guests can choose from a Special Opening Party menu and will receive a goodie when an adult menu is bought. No meal vouchers (part of the hotel dinning plans) are accepted during this special evening. Dinner at Bistrot Chez Rémy costs 39 euros for kids and 79 euros for adults and can be booked through the Disneyland Paris website. Entrance to the Opening Party has to be purchased separately and is mandatory in order to get to Bistrot Chez Rémy. Guests who want to stock up on slow burning carbs can enjoy a special dinner at Disney’s Newport Bay Club. This Pasta Party is a private dinner for runners and their family. This private dinner part is on Saturday September 23 2017 and starts at 6pm until 10.30pm. Guests have to choose a slot when booking. During the party there will be some background music. Pasta Party will cost 30 euros can be booked through the Disneyland Paris website. No meal vouchers (part of the hotel dinning plans) are accepted during this special evening. You can review the menu here. Also returning this year is the runDisney Health & Wellness Expo. Anything a runner needs and might need for the race weekend can be found at this expo. Each runner has to pick-up their race pack which includes the commemorative t-shirt, the bib and the gEAR bag. The expo itself will host several stands that showcase fitness apparel, footwear, high tech gadgets, and nutritional products. Most of these items are also for sale. What can be of interest are the several stands that sell packages to other runDisney events and the shadow boxes to keep your medal and race photo. During the expo unique and limited edition items will be sold like race pins and t-shirts. These are often only available in limited quantities. Make sure you are on time if you want to get a hold of one of these items. Local Annual Pass discounts also apply at the expo. Photopass+ products can also be bought at the expo. In case you are buying apparel, you can understand the French sizes by looking at the sizing chart which you can find in the “Collecting your bib” paragraph. There will also be a Speaker Series which includes appearances by celebrity runner and seminars on training, running, and nutrition featuring speakers and panellists from the running industry. 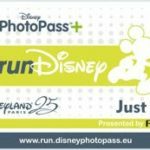 The PhotoPass+ Just Run! can hold up to 3 bibs. 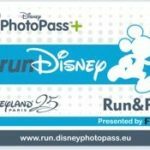 This does mean that if you are running with two people, two different races, you need to have two photopasses to ensure you will get all your photos. You can also opt for the PhotoPass+ Run & Parks which can hold up to 6 bibs. The PhotoPass+ Run & Parks is valid from Thursday September 21, 2017 all the way through to Sunday October 1, 2017. This means that this PhotoPass+ can also be used for the Opening Party and any photos taken at the hotels and parks. In order to receive the correct photos of the runners courses, you need to make sure your bib is visible at all times. If you have booked only a bib, you need to still book a hotel. While Disneyland Paris has 7 hotels, these sell out quite quickly or the prices go up. You also have a choice out of Associated Hotels or hotels near by. Please visit our dedicated hotel page for more information and reviews on hotels. 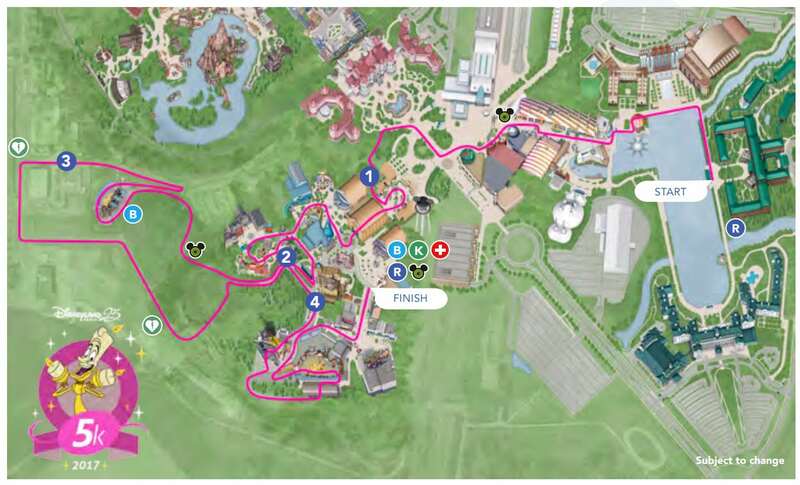 It is easy to walk from any of the Disney resort hotels to the events arena to participate in the run. Last year the Associated Hotels had a shuttle that would transport runners staying at those hotels to the resort. This makes it easy and convenient to stay at those hotels. Disney’s Davy Crockett ranch does not offer a shuttle service. Other hotels nearby the resort do offer shuttles but these will not run on time for you to participate in one of the races. 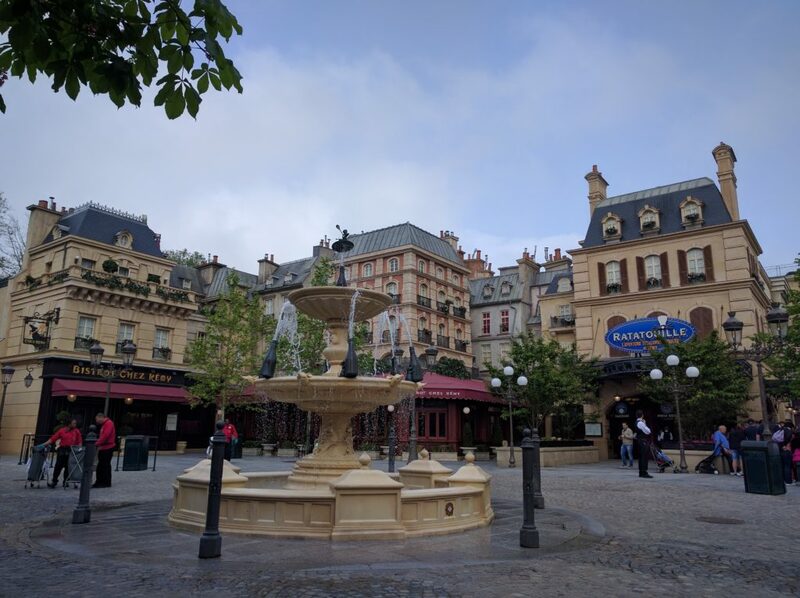 When you stay at one of these hotels, it is best to either use public transport (Gare de Marne la Vallée Chessy) or park your car at the Disneyland Paris Parking. In 2016, Disneyland Paris offered a special rate for runners to park. Last year the parking also opened at 5.30am, giving you sufficient time to get to the events arena. This year participants can login on the runDisney website and view their bib number even before they have collected it. You can view your bib number by downloading the voucher. Make sure you print this voucher as you need it to collect your bib. Your bib-number starts with DLP and the distance (DLP5K) and a unique number. Don’t post this number on social media as people might use it to steal your bib. In order to pick-up your bib, you need to visit the expo. You have to pick-up your bib the day before, or even earlier. See the Expo paragraph or Useful Information for timings. Last year before we entered the expo, they had us sign a waiver for the race. You can download the waiver here. Make sure you print it, fill it in and bring a government issued photo ID. Also make sure you print your bib-voucher which can be found on the runDisney website after you login. You need this to collect your bib. You will have a voucher for each race you are participating in. At the collection point, look for the first letter of your last name and go stand in that line. Once you get to the end of the line, present your waiver, along with other information for the pick-up and a piece of identification. When you get your runners package, make sure the information on it is correct. You don’t want to take somebody else’s bib. Last year they had us go to a different area of the Events Arena to pick-up our t-shirts. As even the t-shirt registration happens online this year, we assume the runners package will also contain that. After that you are all set and done. You can go enjoy the expo. Some races start early in the morning, and it is good to know how all this works. The same information applies to the races that take place later in the day. In order to get to the Events Arena, it depends on which hotel you have. When you are staying on property, you can easily walk there. Associated Hotels offered a shuttle service last year. All other other hotels either require you to use public transport (Gare de Marne la Vallée Chessy) or your own car. When you come by car, last year the car park opened at 5.30a. Do note that while there are a few food establishments, Disney Village itself wasn’t open before the early races. From what we learned last year, none of the hotels offered full breakfast that early. The Disney resort hotels did offer a small grab ‘n go breakfast. We ate a few energy bars, and had a full breakfast after the race. 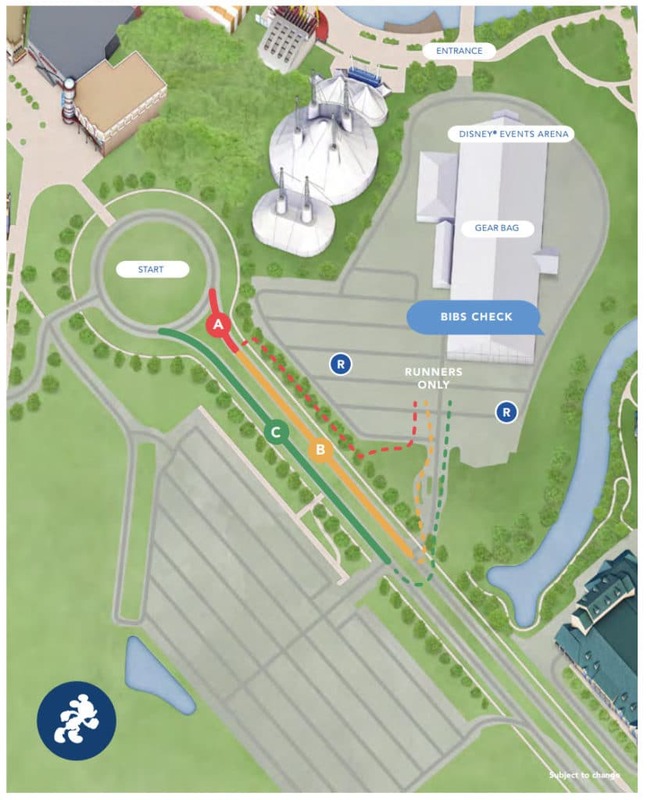 5k times : The Disney Events Arena opens at 6pm for dropping off gEAR Bags. Closure of corrals A & B: 7.30pm Closure of corral C: 8pm Race starts at 8pm. Half an hour before the race starts, the first corrals will be closed. This means that if you are not in your corral by that time, you will start in the very last corral. These corrals are designed to ensure that faster runners will start first. This doesn’t directly apply to the 5k and 10k, the same system is also used for these races. NOTE: You can never jump a corral up, but you can always enter a lower corral. This is useful when other members of your runners party have a different corral. Each corral will start at its own time. Meaning that corral A will start first. After that, the remaining corrals will move forward. Last year the corrals were divided up in separate sections to ensure that the group of runners was still manageable. Each group will have their own little starting ceremony. Don’t be afraid you are missing out on something when you see Mickey and fireworks a few corrals ahead of you.